At the end of every month, I like to post my 4 top favorite #ootd’s (outfits of the day) on my Instagram. Now that I have a blog going, I thought it might be helpful to ’round up’ the looks and list the details below (similar details are listed if the exact piece is not available). I have 7 work styles from March, and 3 weekend ootd’s. The weather in Arizona has been pretty up and down with near 90 degree temperatures to temps in the low 60’s (which then feels freezing!). I noticed as I was putting this all together that I have been very into stripes, blacks, whites, and blues… pretty normal for me! 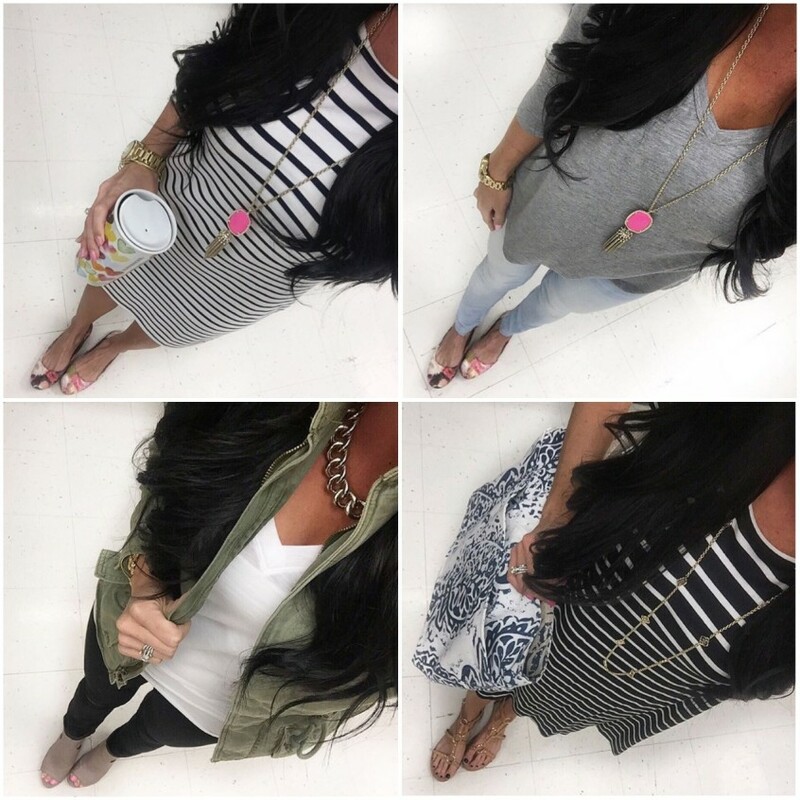 See all #ootd details below. I hope the Instagram round-up was fun to look through! I try to invest in pieces I can wear over and over again like jewelry, long-lasting denim, nice jackets or blazers, and of course dresses that work for every season! I recently started following you on Instagram and love your fashion style. I am also a teacher. I teach Special Education. Thanks for all the good tips. Thank you SO much for reading along! I am so appreciative to hear your feedback. Special Ed. teachers are amazing… I admire all that you do!